Heat rash is very common in babies, especially those who live in hot, humid weather. It usually appears on the parts of the body that are prone to sweating, like the neck, shoulders, chest, diaper area, armpits, and elbow creases. 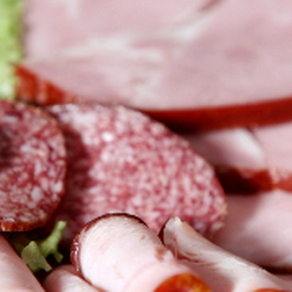 Symptoms range from superficial blisters to deep, red lumps. 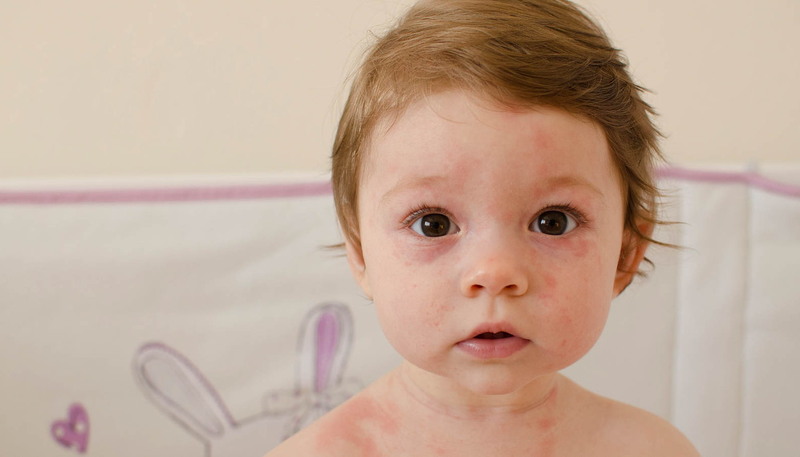 There are three types of heat rash, depending on how deep the symptoms occur in the skin. Miliaria crystallina - This is the mildest form of heat rash and affects the sweat ducts in the topmost layer of the skin. Symptoms include tiny, clear, superficial blisters and bumps (papules) that break easily and are not itchy or painful. This type of heat rash usually clears on its own, but it can come back if hot, humid weather persists. Miliaria rubra - Occurring deeper in the outer layer of the skin (epidermis), this form of heat rash is sometimes known as “prickly heat” because it can cause an itchy or prickly feeling. 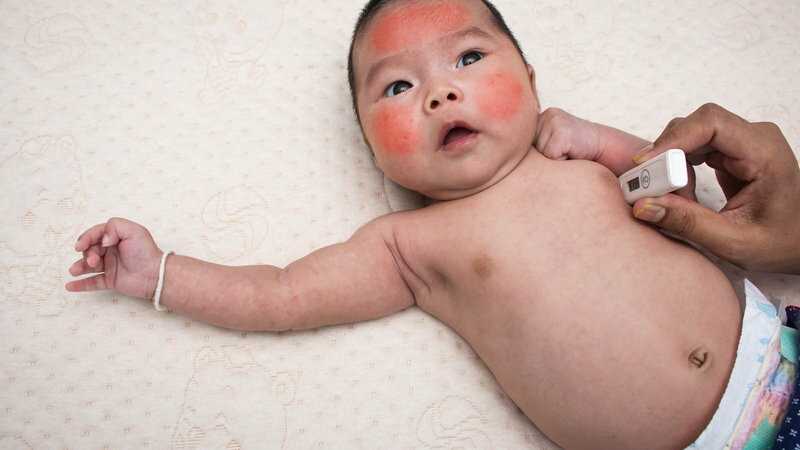 Infants usually develop this type of heat rash between the first and third weeks of life. Symptoms include red bumps, itchy or prickly sensations, and little or no sweating in the affected areas. Miliaria profunda - This form of heat rash affects the deeper layer of the skin (dermis) and occurs mainly in adults, not infants. Heat rash develops when sweat ducts become blocked and perspiration is trapped under the skin. Though heat rash can affect anyone, newborns are most susceptible because their sweat ducts aren't fully developed and can rupture easily, trapping perspiration beneath the skin. Newborns who have high fevers or are in incubators can also develop heat rash. Heat Rash or Infantile Eczema? Infantile eczema is an itchy, dry, red rash that occurs when babies are overly sensitive to allergens in their environment, such as pollens, molds, dust, animal dander and certain foods. It is common in babies with a family history of eczema, as well as hay fever, asthma, and other allergies. It may occur on the face, chest, elbows, arms or behind the knees. The best treatment for any form of heat rash is to cool the skin and reduce sweating by staying in air-conditioned rooms. If the heat rash is making your baby irritable, apply calamine lotion to soothe the itch. Anhydrous lanolin may also help prevent sweat duct blockage and stop new lesions from forming. Heat rashes usually clear within 7 to 10 days if baby’s skin is kept cool and dry; however, if your baby’s rash becomes infected, you should see your doctor right away. Signs of infection include increased pain, swelling, redness or warmth in the affected area, yellow pus draining from the lesions, swollen lymph nodes in the armpit, neck or groin, and fever or chills. Keep baby’s sleeping area cool, dry, and well ventilated to prevent excess sweating while your baby is sleeping. 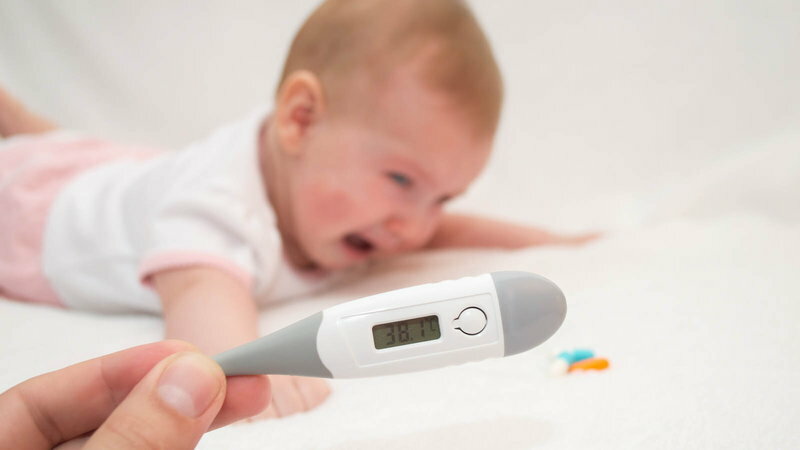 Heat rash usually develops in hot, humid weather, but it can also occur in cold weather if infants are dressed too warmly and perspire. 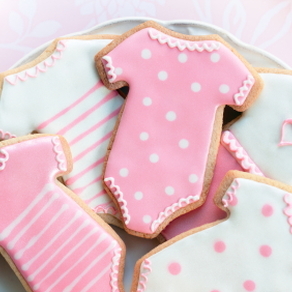 So, drape your baby in loose-fitting layers and fabrics that wick moisture away from the skin. Avoid heavy creams and ointments, which can block sweat ducts, and bathe your baby in cool water with nondrying soap that doesn’t contain fragrances or dyes.